Congratulations are in order to Monsieur Pierre Chariol! It is with great pleasure we announce that Chateau de Lescours St Emillion Grand Cru 2015 has been awarded 91 points by Wine Enthusiast. This high score will be appearing in the esteemed “Best of the Year” 2018 issue of the wine magazine. 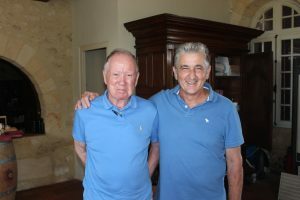 The Chariol family has proudly owned this 18-acre for four generations, and Pierre Chariol has been the owner and chief winemaker for 20 years. Pierre will be the first to tell you that the road has not always been easy, but he has worked great lengths and countless tireless days to keep his family’s wine unparalleled, his Chateau in good working order and, most importantly to him, in the family. Pierre makes one wine, and does that exceptionally well. He is a true soldier of the “Keep it Simple, and Make it Remarkable” model of winemaking success. Of course, winemaking cannot be limited to words such as hard or simple. Winemaking is truly an art, getting the amalgamation of grapes and conditions just right. And all it takes is one delicious taste to know that Pierre knows how to make amazing Bordeaux wine. Like magic. We’ve always thought of Lescours as a hidden treasure. It looks like their time to shine is upon us. Look for the black and gold label. You will fast find yourself becoming a loyalist, too. 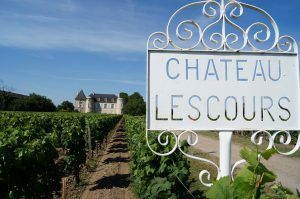 As you’ll recall, Château de Lescours is one of the oldest and most renowned properties in the Saint-Emilion district of Bordeaux. It was built in 1341 by a squire of King Edward III and is surrounded by a deep moat that is very cool. Because it is set amid 100 acres of forest, a special microclimate prime for vine-growing is created. 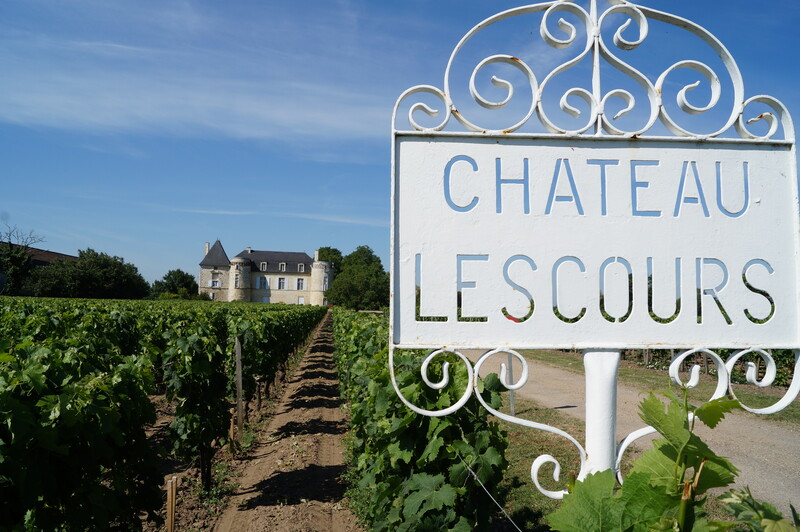 Wishing Monsieur Pierre Chariol and Chateau de Lescours some moments to bask in his winemaking success. Bravo!